Total’s massive Egina FPSO vessel arrived at LADOL yesterday. 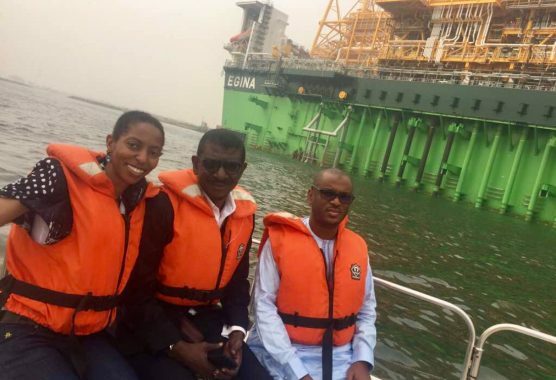 The biggest ship in West Africa, and one of the world’s biggest, it’s 330m long and 34m high. 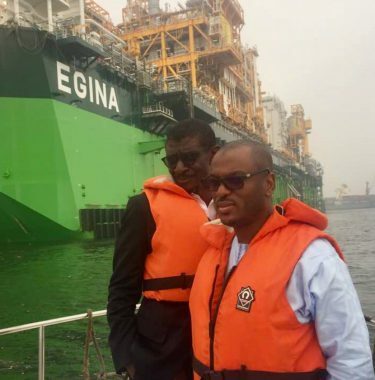 Designed to hold 2.3m barrels of oil. It’ll be moved to an ultra-deep field about 130km off the coast at some stage. 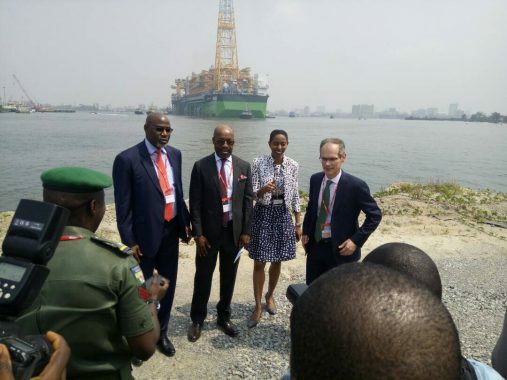 The arrival of the TOTAL Nigeria Egina FPSO to LADOL Free Zone is an historic milestone for industrialisation in Nigeria. 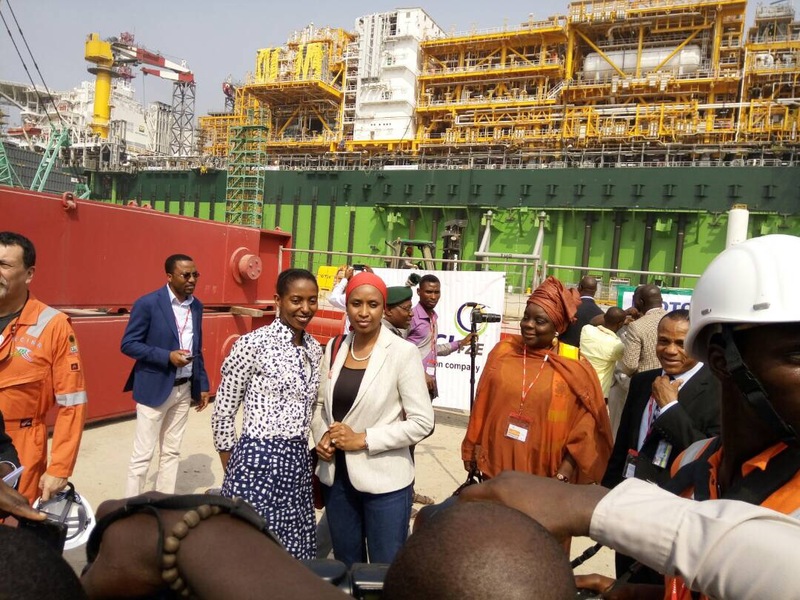 Nigerian Ports Authority Managing Director Hadiza Bala Usman was among those that joined LADOL MD Dr. Amy Jadesimi onsite to celebrate. 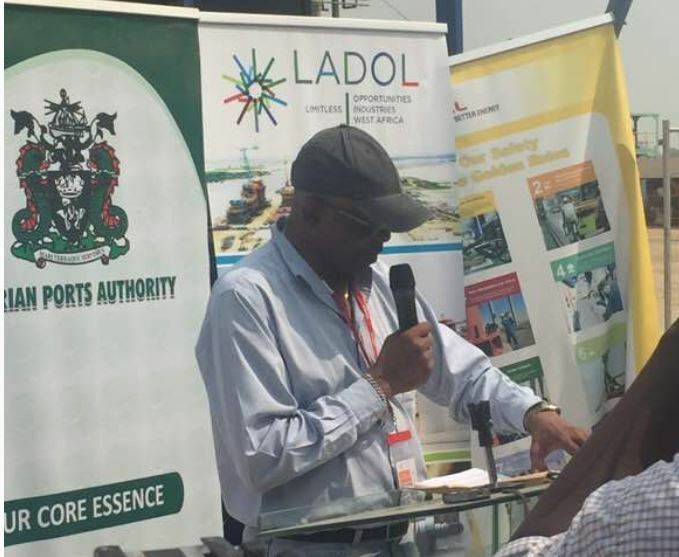 The Chairman of LADOL, Mr Oladipo (Ladi) Jadesimi, gave a speech to all distinguished guests to welcome the Egina. NEXIM Bank Chief Executive Abba A. Bello and Executive Chairman Bala M. Bello with LADOL MD Amy Jadesimi admiring Egina from close up.